Ocenaudio was added by tabakis in Jul 2012 and the latest update was made in Apr 2019. The list of alternatives was updated Apr 2019 There is a history of all activites on Ocenaudio in our Activity Log. It's possible to update the information on Ocenaudio or report it as discontinued, duplicated or spam. 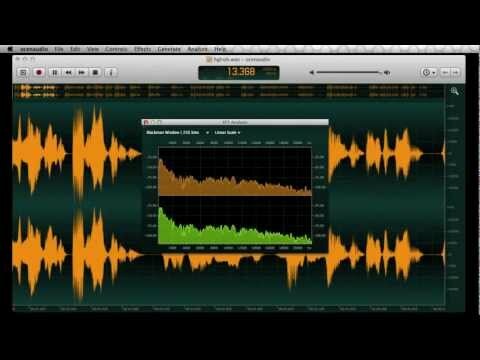 Alternatives to Ocenaudio for Windows, Mac, Linux, iPhone, iPad and more. Filter by license to discover only free or Open Source alternatives. This list contains a total of 25+ apps similar to Ocenaudio. With the ability to split audio into chapters. Lets you zoom in vertically and horizontally to see individual samples and interpolation. Has a spectrogram and spectrum view. Supports VST plugins. Great software, it's my favorite MP3 edit tool, free, basic and useful.